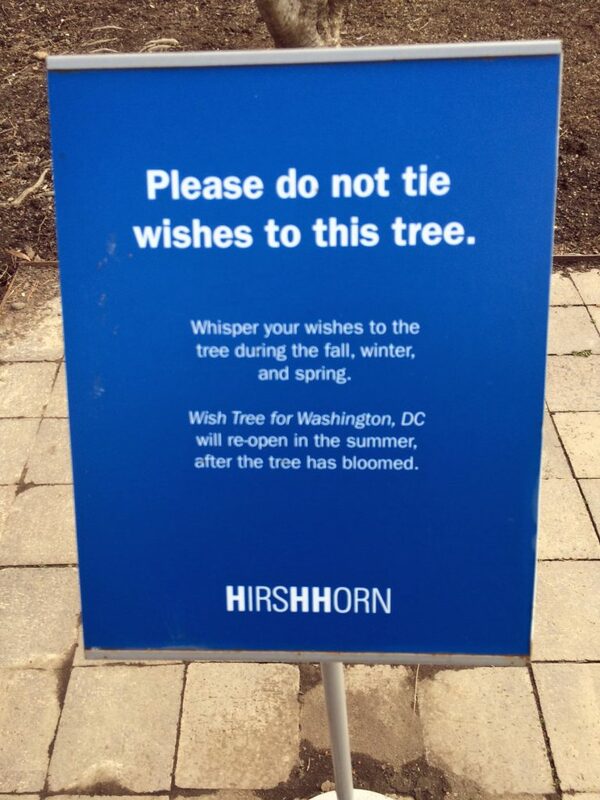 The Yoko One tree in the Hirshhorn sculpture gardens remains, but people are now asked to whisper their wishes rather than write them down and tie them to the tree until it blooms. This entry was posted in Monuments and Statues and tagged Best Washington DC walking tours, Hirshhorn Museum and Sculpture Garden, Photo by Rick Snider, Yoko Ono Wish Tree. Bookmark the permalink.